A compilation of some of Malema's most accurate predictions in the past year. Social media users have dubbed him the most reliable news source in South Africa -- and with a track record like this, it is no wonder why. 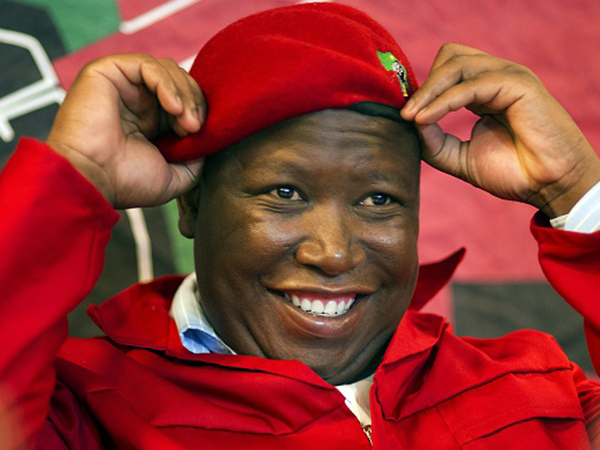 EFF leader, Julius Malema has been called a 'prophet' following various tweets and statements he has claimed would happen that actually came to pass. These "prophecies" are usually about the ANC and can range from minutes to months before they actually take place. Here is a compliation of some of Juju's most accurate claims in the past year: Gwede Mantashe will apologize to Zuma: Yip, he called it! Julius’ most recent prophecy came to pass after Gwede Mantashe took back what he said about JZ — just as the former ANCYL leader predicted he would. Pravin Gordhan would be "arrested"
Julius made this claim on the 16 of May 2016, three months before it actually (kind of) happened. Former Finance Minister Pravin was not actually arrested — he was however charged by the Hawks just like Juju said he would be. Pravin will be fired Two days before President Jacob Zuma's 'surprise' reshuffle, Julius let loose a series of tweets, once again foretelling what was to come. and it doesn't stop there. He even tweeted the new finance minister's name: Moments before it was announced that Jacob Zuma has reshuffled his cabinet and replaced Pravin Gordhan with new finance minister, Malusi Gigaba, "Prophet Juju", beat his former leader to it. Julius’ spot-on claims also extend beyond politics to the music industry, where he also claimed to have warned recording artist not to sign with specific music labels as they will live to regret it.